Inner City music events seem to be de-rigeur for a lot of Britain’s cities and the ‘Toon is not one to be left out of a trend! This particular event was interestingly called “Live from Times Square” and although it was not the New York square made famous by New Year, it was certainly busy busy and eager with anticipation for the bands of the evening…. 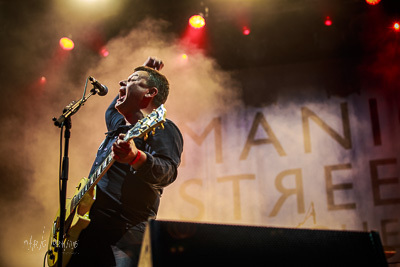 The Old Pink House, Dream Wife, Public Service Broadcasting, The Cribs and headliners the Manic Street Preachers - that and it was sold out and it was Saturday night in Newcastle which, if you don’t know, is always a damn good party.